Air Optix Multifocal contact lenses by Ciba Visión laboratories. They are disposable multifocal monthly lenses made of silicone hydrogel. 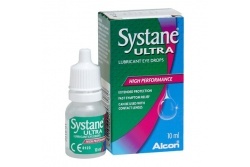 Recommended to young users with tired eyesight who need a higher and closer vision. They are also intended to long-sighted people who use lenses for a longer time. Clear vision at any distance. 6 lenses per pack.